I come to you with the last pages from this batch. Hopefully you have enjoyed the story so far. I think page twelve is my favorite. 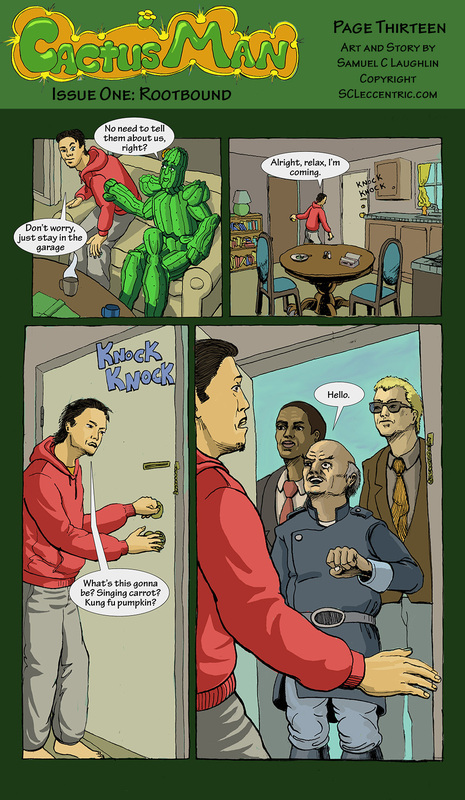 Who is that guy in the last panel, you ask? He is none other than Elias Mothburne, deranged botanist for Texan Relativity Corp. 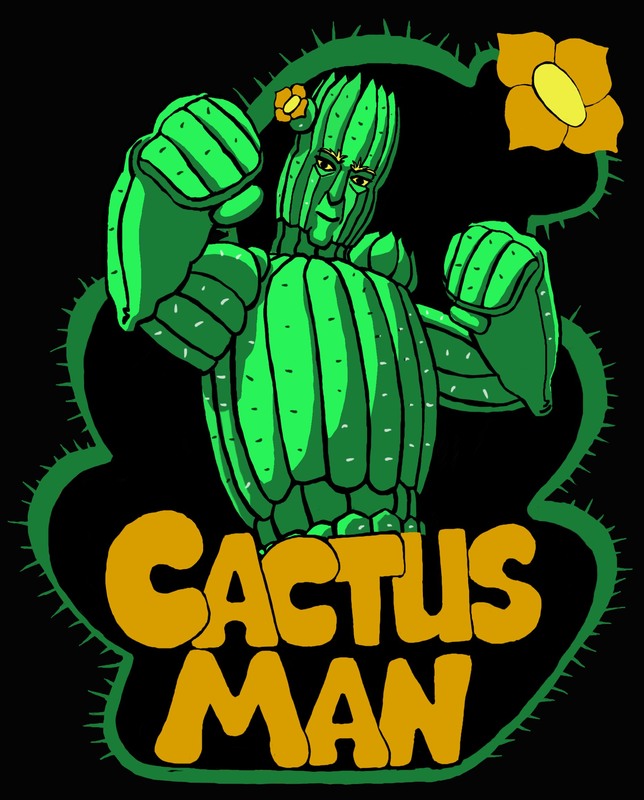 He is also the main reason Cactus Man is on the run. More on him later. 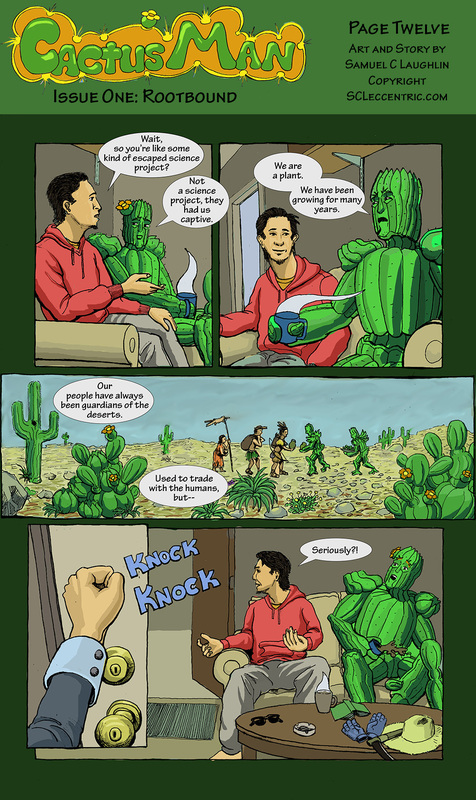 Cactus Man will return with a few more pages this summer. Expect them in July or August. More action, more cat. I will try to oblige all the fans who have given me feedback. Much appreciated. 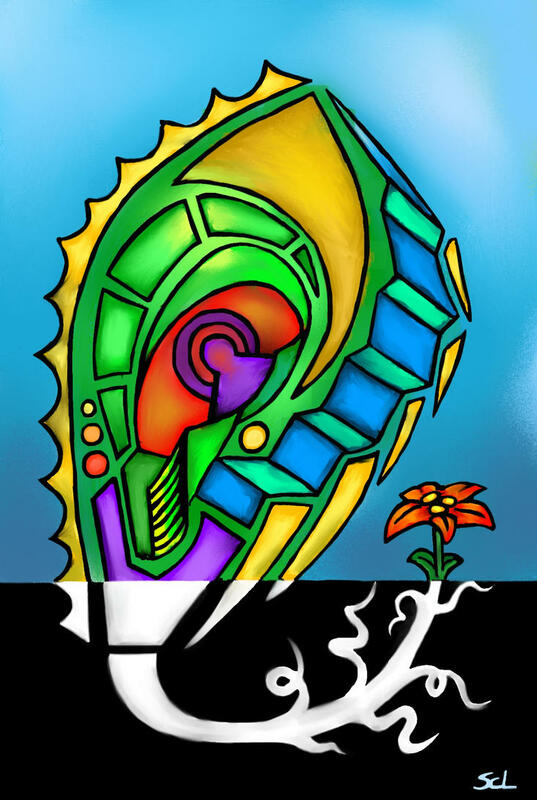 Stay tuned on SCLeccentric for more pictures pages and stories.